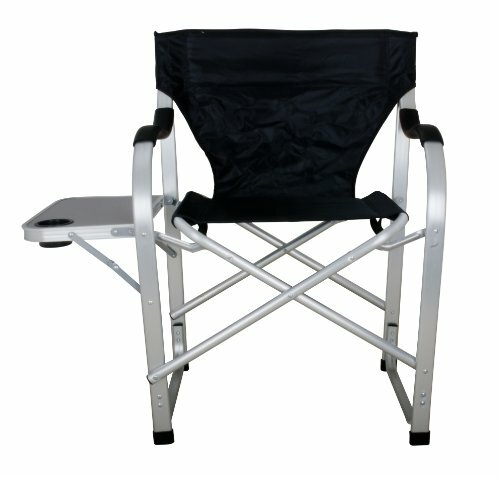 This Heavy Duty Director's Chair comes with a retractable side table with cup holder. It is perfect for camping, barbecues, picnics, or any outdoor event. 800 D nylon fabric makes cleaning easy - Simply wipe down with a wet cloth. Product dimensions - 25.6"W x 17.3"D x 19.7"L.
Whole back length - 36.2". Seat width - 20"
If you have any questions about this product by Stylish Camping, contact us by completing and submitting the form below. If you are looking for a specif part number, please include it with your message.